Every vehicle has some form of steering or suspension system. It is composed of many different parts all of which are integral in allowing you to drive over bumps or turn your vehicle easily. Here at I Work On Cars we have the expertise and knowledge to diagnose maintain and execute proper steering and suspension repair. Below is a basic description of some of the major parts involved. A typical suspension system will consist of your springs or torsion bars. These hold the vehicle up. You have your struts and shocks that absorb all the bumps and control the bounce. 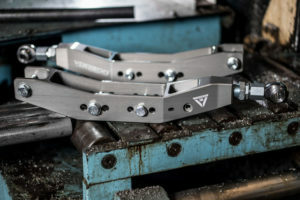 Your control arms allow the wheel to move up and down while preventing it from moving side to side. Your ball joints allow the wheel to swivel and tilt for steering and alignment. Most cars, but not all have a sway bar with sway bar end links. They essentially limit the sideways sway/tilt of your wheels when turning. They also limit how much the two wheels can move independently of each other. 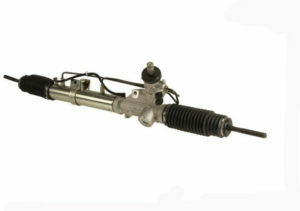 Steering systems consist of two main types; a rack and pinion or steering gearbox / hydro boost setup. Both consist of a power steering pump that does all hard work for you. When you turn your wheel the power steering pump pushes high pressure fluid into the rack or box and forces the wheels left or right. The rack is attached using two tie rods. They allow the wheel to stay attached while being able to swivel. A steering gear box uses a pitman arm that attaches to a large rod with two tie rods on it. Just different ways of doing the same job. In the last decade we have seen a dramatic jump in electric power steering systems. They don’t offer the steering feel for the performance enthusiast but they are far less to maintain. There aren’t any hoses, fluid or pumps to replace. Rest assured maintaining your steering and suspension will keep your vehicle riding like new. Whether it is a sports car, economy, luxury, suv or truck keeping all the parts in working order will keep it driving like it was meant to.